Some of the people most prone to burnout out are family caregivers. Individuals who devote their time and energy to providing care to the elderly or disabled are often underpaid and underappreciated. The demands of family caregiving can easily become overwhelming – especially for families who are close to the breaking point. How can homecare software help prevent caregiver burnout and the collapse of families? Unfortunately, many families resist the idea of hiring outside help for their elderly loved ones. Whether they feel it is shunning their personal obligations or worry about quality care, such reservations can be difficult to overcome. The truth is hiring a professional caregiver to help with the burden of care can be incredibly beneficial for families – including the elderly person receiving care. Here are just three ways homecare software can improve family caregiving situations. 1. 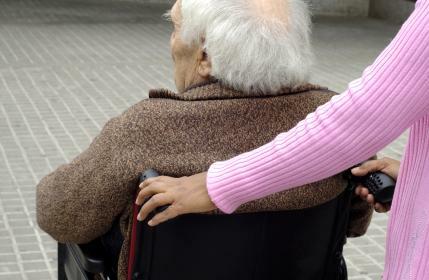 Homecare provides respite – an essential break from caregiving and from each other. No family gets along all of the time. When you add the responsibilities of caregiving into the mix, it’s all but impossible to maintain a positive atmosphere within the family unit. When families turn to a reliable homecare agency for assistance, they are taking the first step in improving family relationships. An agency that utilizes ClearCare’s homecare system has been the answer to countless prayers for families who are desperate for a break. Relying on a homecare system gives you time off to focus on your personal life and obligations, which reduces stress and resentment. 2. A homecare system improves senior care. Experts agree that in addition to knowing your limits, it’s important for family caregivers to look for ways to improve care for the elderly person. There are a variety of resources available, including personal care and companionship services, meal delivery, and homecare software such as ClearCare. Taking advantage of these services in combination with a trustworthy homecare system gives the senior the best care possible. When homecare software is used, caregivers can easily keep in touch with the senior’s doctors and other health professionals that may have insight on how to improve care and quality of life. This helps all family members feel as if they are doing the right thing for their parents. 3. Homecare software allows for better communication. A team of caregivers must be on the same page in order to care for the senior properly. ClearCare’s entire homecare system and homecare software are both designed to improve communication between family members, doctors and caregivers. Important issues that might have otherwise gone ignored are now easily tracked and communicated through a secure homecare system that can be accessed 24/7. If your family is reaching the breaking point, call to speak with one of ClearCare’s representatives today. We can answer all of your questions and show you even more ways a homecare system can draw your family closer together.